The Armory Show takes place from the 8-11 March for its 105th edition, with the fair featuring an active live talks programme from artists such as JR and Carolee Schneeman, alongside presentations by over 200 international galleries. 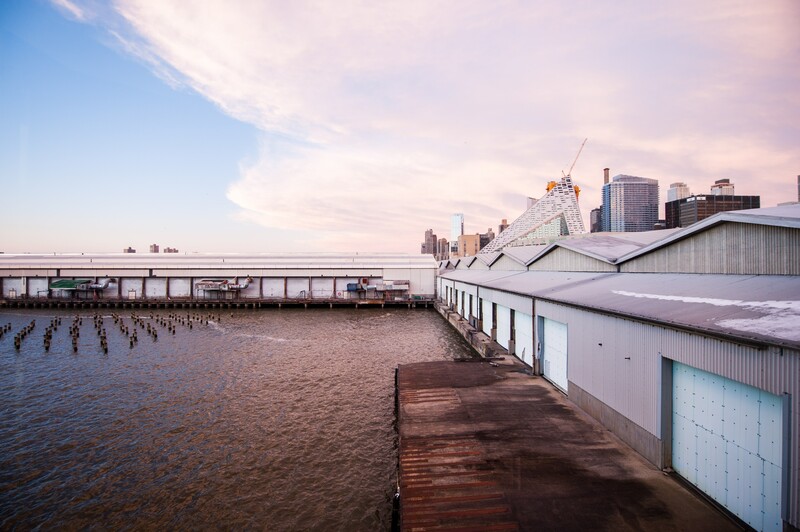 The Armory Show also includes innovative artist commissions and dynamic public programs. Below is our selection of the top things to see inside and outside of the fair. von Bartha will be presenting a selection of works by Camille Graeser (Switzerland, 1892-1980), alongside four contemporary artists: SUPERFLEX (Denmark, founded in 1993), Imi Knoebel (Germany, b.1940), Anna Dickinson (UK, b.1961) and James Howell (US, 1935-2014). Graeser’s brightly coloured systematic paintings and delicate drawings are shown alongside ‘free-form’ works by Knoebel, which challenge notions of what painting can be. Made in the tradition of nonrepresentational and abstract art, meaning is generated experientially by looking at, and reflecting on the works. The late American artist James Howell, who for over twenty years meticulously studied the unlimited tonal possibilities of the colour grey, revealing both the sublime and the minimal. These are juxtaposed with the industrially inspired sculptures of Anna Dickinson, who alludes to the ‘post-medium’ condition of the fine arts, pushing the boundaries of various disciplines, including glass, ceramics and sculpture. Finally, works by SUPERFLEX, the artist collective presenting the 2017 Tate Turbine Hall commission in the UK, explore their playful, yet subversive critiques of commercialism and globalization. 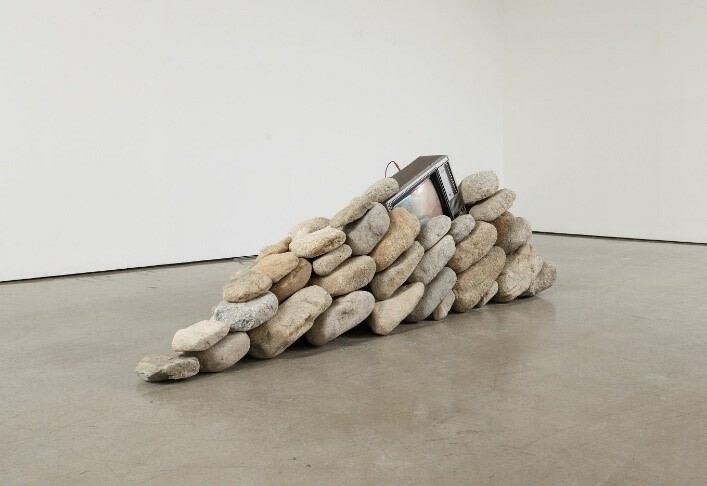 Andrew Kreps Gallery was founded 1996 in New York. The gallery focuses on emerging American artists and international artists who have had their first solo shows in the USA or New York at the gallery. Alongside other artists, the booth will feature a work by Ricci Albenda, whose practice experiments with text as an 'object' that acts simultaneously as something visual and linguistic, balancing between subjective and collective. In 1994, Abenda conceived an "alphabetic colourisation system" which he calls COLOR-I-ME-TRY, that mathematically codes each letter according to the colour spectrum. Galerie Templon was founded in 1966 by Daniel Templon. The gallery was a pioneer in presenting contemporary art in Paris and has had more than 500 exhibitions. Templon will be showing a work by Omar Ba, a Senegalese artist who lives and works in Dakar and Geneva. His paintings represent political and social motifs that are open to multiple interpretations, and are created using a variety of techniques and materials to express a subconscious, symbolic interpretation of the real. Lorenzo Ronchini founded the gallery in 1992. The gallery centres around different spectrums of contemporary practice such as Minimalism, Spatialism, Conceptualism and Arte Povera. The gallery relocated from Italy to the UK in 2012 and since then it has been working with emerging artists who are new to the London art scene. Ronchini will be showing works by Katsumi Nakai. Nakai, a Japanese artist from Osaka, explores Spatialism in their work, a practice which rejects the traditional space of easel painting. 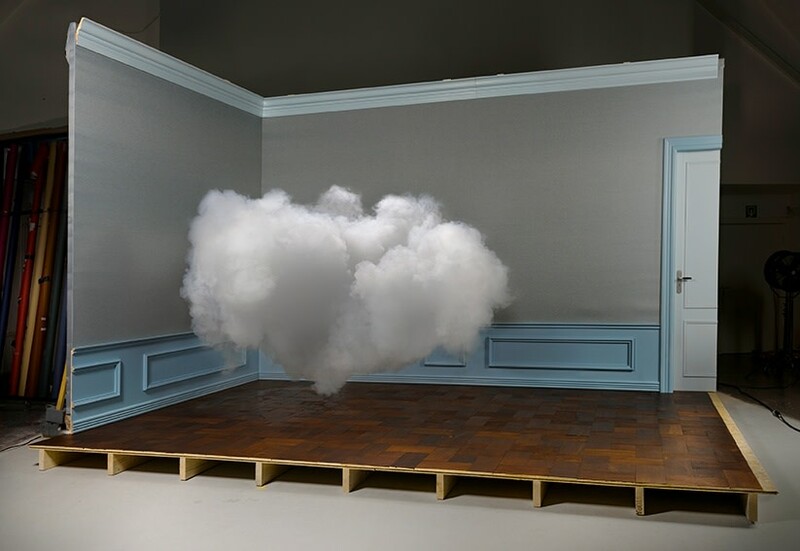 As an additional feature within the The Armory Show's 'Platform' projects, Dutch artist Berndnaut Smilde and Ronchini Gallery will present Breaking the Fourth Wall, a staging of Smilde's ephemeral clouds. These clouds will appear automatically and at random times throughout the duration of the fair - dissipating as mysteriously as they were formed. Blank Projects is a leading South African gallery and was founded by Jonathan Garnham. Prior to becoming a gallery in 2012, it was a project space for 6 years. The gallery represents a young generation of Southern African artists. Igshaan Adams' work will be shown at the Blank Projects booth. Adams' work forms its basis from the artist's upbringing, combining aspects of performance, weaving, sculpture and installation. By straddling these disciplines, the artists investigates hybrid identity, inspired by his own experiences living in a community that was heavily affected by South African apartheid legislature. Gallery Hyundai presents Park Hyunki (1942-2000), a pioneering artist of Korean video and installation art, using video as a medium of expression. Hyunki consistently questions the essence of art and brings his work closer to nature. The artist also engaged in conceptual art, with influences ranging from western minimalism to eastern philosophy. The booth will focus on his dynamic career from the late 1970s onwards. The works shown include Park's performance Video Inclining Art, previously shown at the 15th São Paulo Biennial. Gallery Hyundai will also be displaying a group in the main section of The Armory Show, including works by Choong Sup Lim, Chung Sang-Hwa, Lee Ufan. 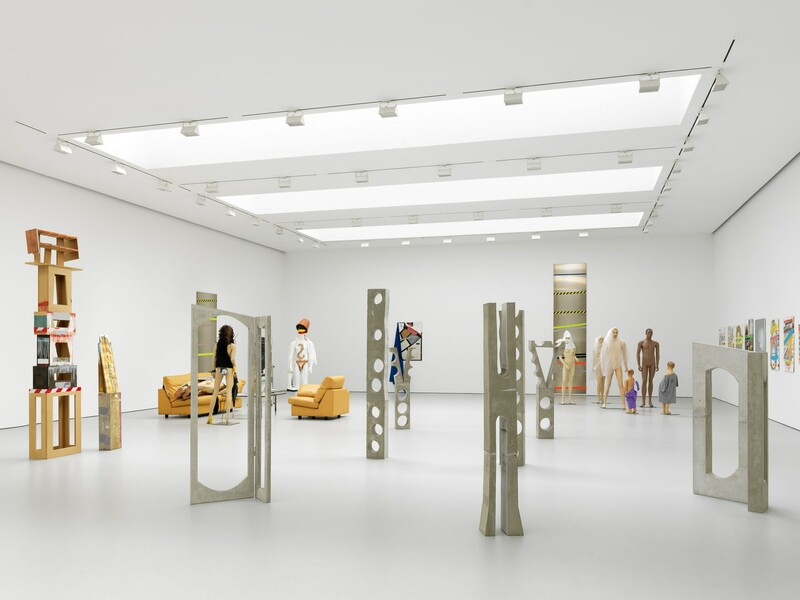 David Zwirner New York will be presenting a solo exhibition by the German artist, Isa Genzken. Sky Energy, the artist's fourth solo exhibition with the gallery, takes its name from a sketch for an unproduced screenplay written by the Genzken in the mid-1990s. Amongst other work, the exhibition will showcase new concrete sculptures. These makes use of the rough-hewn surfaces of concrete to form works that appear paradoxical; both heavy and light, modern and decrepit. Alexandra Pirici (b. 1982, Bucharest, Romania) uses sculpture performance and choreography to address historic manifestations. For this on-going performance, European ArtEast Foundation is partnering with New Museum as the lead support on Pirici's exhibition Co-natural. The project approaches the concept of presence in an expanded sense, using a hologram as a mediator to revealing the ways in which images and living bodies influence each other. "Provocations" by Anselm Kiefer at the Met Breuer features 34 works by the German artist. The exhibition focuses on the artist's career that spans nearly 50-years with his work addressing recent history and the conflicting issues that are being experienced today. "15(Quince)" by Frank Thiel, consists of photographs taken over a two year period around Havana, Cuba of Quinceañeras. Thiel offers a visual representation of the evolution of young women and how they are representing the future of Cuba. For Marina Abramovic's "Early Work", features twelve performances issued by the gallery in 1994. The exhibition includes rarely seen works and celebrates Abramovic's legacy as one of the most significant figures in the history of performance art. ROSA AURORA ROSA challenges pre-existing codes within materials and processes; returning to techniques such as wood and stone carving, as well as embroidery, weaving and ceramics. Through this revaluation, the artists are continually expanding on each medium and its reach in a contemporary context.